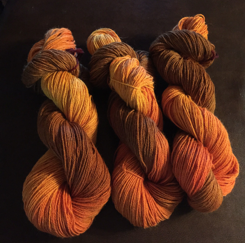 Home » Uncategorized » Zathura joins us for the winter and NEW sock yarn! 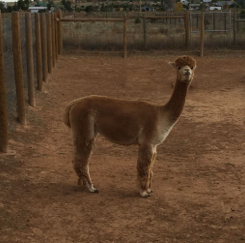 We started off the fall season by bringing Sunset Hills Zathura, multiple champion in both halter and fleece, to our farm and breeding her to Xanadu P Mistral from Sundancer Alpacas. We expect a beautiful fall cria! Zathura getting comfortable in her new digs. She’ll be at our farm for the next year or so. We’re hoping for a beautiful new female cria next September. We’re also excited to report that our sock yarn finally arrived from the processing mill. Kathy is busy dyeing so we can get it into our Farm Store for our customers. New alpaca sock yarn just in from the mill! Now that the cooler weather is here, we’re stocking our store with new imported alpaca clothing and accessories. Please stop by and see us during our regular hours or schedule a visit at a time that is convenient for you.